Visitors to Virupaksha Cave, the place where Ramana Maharishi spent about fifteen years of his life, may have noticed a small walled compound a few hundred feet lower down the hill. This compound, which one enters through a small gopuramon the eastern side, contains a cave that was, several centuries ago, occupied for many years by a yogi called Guhai Namasivaya. The cave and the few buildings that surround it now bear his name. The origin of Virasaivism, an offshoot of Saivism, can be traced back to the twelfth century. Its philosophy has grown out of the twenty-eight Saiva Agamas and the writings of its early exponents. Virasaivas are also known as Lingayats on account of the immense importance they attach to their conception of the term ‘Linga‘. For them, Linga is not merely a physical object, it is synonymous with chaitanya, or consciousness, and can be taken to be Siva himself. In their philosophy, the term Linga can be equated with the Parabrahman of the Upanishads, but it has other connotations as well. It is the cosmic principle that is the source of the universe and, in its physical form, it is the visible symbol of the consciousness that exists in all beings. In addition, and this is particularly interesting in view of the years Guhai Namasivaya spent at Arunachala, it is often conceived of as a mass of light or a column of blazing fire. Worship of the Linga in all its forms is central to Virasaivism. For a devout Virasaiva, the spiritual path begins when he approaches a competent Guru and asks him for initiation. Usually, the Guru will first test him for a year to see how serious his spiritual inclinations are. When the Guru is satisfied that the disciple’s desire is genuine, he agrees to initiate him and accept him as a disciple. The initiation given by the Guru activates the power of Linga in the three bodies, the causal, the subtle and the gross, and removes some or all of the taints or imperfections that reside in each of the three bodies. 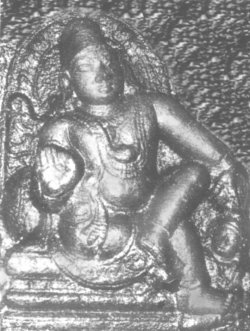 Virasaivas believe that these taints, called mala, prevent the disciple from becoming established in Linga, the Supreme Siva-consciousness. In the initiation ceremony the Guru first places his right palm on the head of the disciple, thereby awakening the supreme Self in the causal body in a form that is called Bhavalinga. Simultaneously, through his power, the Guru attempts to eliminate any impurities that dwell there. Next, the Guru whispers the great mantra ‘Nama Sivaya‘ in the right ear of the disciple. All Saivas hold this to be the best and most potent mantra. The act of whispering establishes in the subtle body a form or aspect of the Linga that is called Pranalinga. The power transmitted by this mantra initiation also cleanses the subtle body and removes some of its imperfections. Then, in what is perhaps the most significant part of the ritual, the disciple is given a physical Linga. Virasaivas believe the Linga is a great light in the innermost heart that can be brought out and shaped into a physical form by the Guru. In the final part of the rite, the Guru draws out the power of Linga from the heart of the devotee, establishes it in a physical Linga, which is called Ishtalinga, presents it to the disciple and commands him to worship it as if were Siva himself. The handing over of the Ishtalinga removes the taints that are attached to the physical body. The Guru then commands the devotee to wear the Ishtalinga on his body at all times and to worship it three times a day. The Guru also tells him that the Linga must on no account be separated from the body since such a separation is equivalent of spiritual death. In the Virasaiva tradition, it is not permitted to worship Siva in any other form except that of the Istalinga or the Linga installed over one’s Guru’s samadhi. Virasaivas are therefore forbidden from worshipping forms of Siva that have been installed in temples. Sivananda Desikar, Guhai Namasivaya’s Guru, was an adept in a Virasaiva yoga system known as Siva Yoga. When Sivananada Desikar noticed what a mature disciple Guhai Namasivaya was, he initiated him into its practices. From then on, Guhai Namasivaya alternated his time between physical service to the Guru and the practice of Siva Yoga. In the course of time he too became an accomplished Siva yogi. Siva Yoga emphasises dharana, dhyana and samadhi, the last three stages of Patanjali’s Raja Yoga system, but it gives them a Virasaiva turn by emphasising meditation on the three Lingas that the Guru has established in the three bodies. 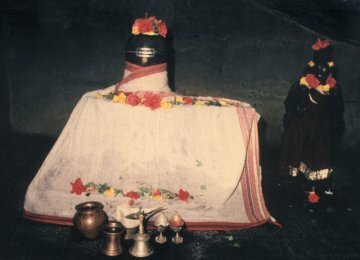 In the Siva Yoga system, worship of the Ishtalinga, the Linga given by the Guru to the disciple, is called dharana, or uninterrupted concentration; worship of the Pranalinga established in the subtle body is dhyana, or meditation; remembrance and awareness of the Bhavalinga in the causal body is called samadhi. According to Maggeya Mayideva, a Virasaiva saint, ‘samadhi is the action which includes both radiant worship and meditation on one’s own Linga‘. The goal of the yoga is to find Siva in everything and to discover the fundamental root of that immanent Siva manifestation in one’s heart. Though Siva Yoga has a strong bhakti component, it must not be forgotten that it is also a variety of Kundalini Yoga. 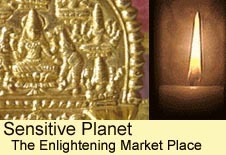 The Siva yogis aim to make contact with the power of the Lord. They believe that the contact finally takes place after the prana, rising through the sushumna, has passed through all the six chakras and moved on to the bramarandhra, located at the top of the head. Accomplished Siva yogis, at the time of their death, voluntarily send all their pranas out of their bodies through this brahmarandhra and merge into the all-pervading consciousness of Siva. On his journey to Tiruvannamalai Guhai Namasivaya came one evening to a village where a wedding was in progress. The head of the house where the wedding was taking place greeted him respectfully, invited him into the house, gave him the place of honour and performed puja to him. At the conclusion of the puja everyone present received some vibhuti from the hand of Guhai Namasivaya. Shortly afterwards, the house was completely destroyed by a fire. Some people, associating the fire with Guhai Namasivaya’s visit, poured scorn on him by saying, ‘The ash given by this yogi has turned the house itself into ash’. Guhai Namasivaya was deeply hurt by this taunt, not personally, but because of the ridicule to which the Lord’s vibhuti had been subjected. He therefore meditated on Siva and through his grace was able to restore the house to its former unburnt state. Subsequently, those in the village who had formerly reviled him began to praise and worship him as if he were Siva himself. Guhai Namasivaya, perturbed by all the fuss his visit had caused, then took a vow that wherever he went in future, he would never again stay in any house. There was a sadhu called Sivakkira Yogi who noticed that Guhai Namasivaya never went through the temple entrance, but merely made strange gestures there. He interpreted this strange behaviour as deliberate irreverence and decided to punish him by striking him on the back with his cane. Guhai Namasivaya made no attempt to retaliate, nor did he even reproach his attacker. He merely composed an extempore venba verse in Tamil to the effect that the Lord had struck him in order to drive out his evil propensities. When Sivakkira Yogi saw Guhai Namasivaya responding in such a humble way, he immediately realised that he had failed to recognise the latter’s greatness. Guhai Namasivaya accepted the order and moved into a cave on the lower slopes of the eastern side of the hill. He spent the remainder of his life in this cave and thus acquired the title ‘Guhai’, which is the Tamil word for cave. In Virasaivism it is the Guru’s job to cleanse the devotee of the threefold impurities that cling to the three bodies. 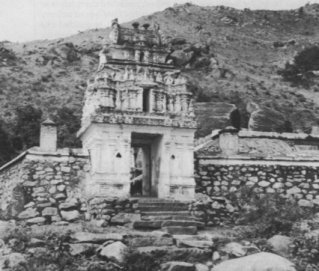 This process would have been initiated by Guhai Namasivaya’s human Guru, but as the above verse clearly states, it was Arunachala-Siva who completed the job. There is a famous story concerning Guhai Namasivaya that seems to show that although he had great devotion to Arunachala, he was still capable of displaying bursts of extreme anger. One day, according to this story, he took pity on a poor man whose only goat had been killed by a snake just before it was about to give birth. Guhai Namasivaya asked the man to leave the goat’s body with him and to collect it the next day. When the man returned to pick up the corpse, he found that not only had the goat been restored to life, it had also given birth to two kids. As news of this miracle spread around the town, some boys from the local weaving community decided to play a joke on him. One boy, pretending to be dead, was carried into the presence of Guhai Namasivaya by his friends. The boys claimed that their friend had died of a snake bite and asked the saint to restore him to life. Guhai Namasivaya, who could see that they were merely making fun of him, cursed them with such vehemence that the boy who was pretending to be dead actually did die. Then Guhai Namasivaya cursed the whole weaving community, saying that they would never prosper or flourish in Tiruvannamalai again. The curse took effect: all the weavers were forced to leave town or take up other occupations because none of them could make a living by weaving in Tiruvannamalai. In the years that followed, all attempts to re-establish weaving businesses in the town failed. Arunachaleswara accepted the justness of the complaint and, for the sake of Guhai Namasivaya, decided to intervene in the matter. That night the Lord appeared to Agittu in a dream in the form of a sadhu and struck him on the back with his stick. Agittu woke up immediately and noticed that on the spot where he had been beaten there was a rash that soon grew and developed into a large, swollen abscess. He consulted some of the elders of the town, recounting his dream to them. They all advised him that he could only save his life by leaving the temple. Agittu, not wanting any further punishment, abandoned the temple to the pujaris and the town’s devotees who cleared up his mess and reconsecrated the holy shrine. However, Agittu could not escape the wrath of Guhai Namasivaya and Lord Arunachaleswara. His abscess grew and worms appeared in it, which gnawed away at his healthy flesh. All remedies failed, including one horrific experiment in which he applied foetuses, taken from pregnant women he had slaughtered for the purpose, to the wound. When he eventually died in great agony, his death was celebrated throughout Tiruvannamalai. The local people anointed themselves with oil, put on new clothes, ate a special meal and danced in exaltation. (1) The Virasaivite Saints – A Study – by H. Thipperudra Swamy p. 255. (12) Pulavar Puranam, ‘Guhai Namasivayar Sarukkam’, v. 14.